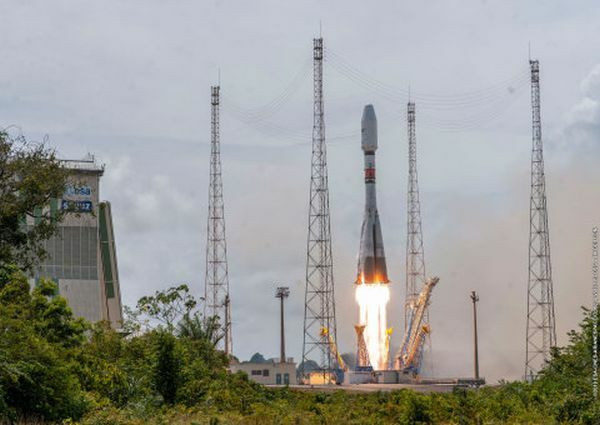 Four O3b Medium Earth Orbit (MEO) satellites were successfully launched by Arianespace at the Guiana Space Centre in Kourou, French Guiana on 4 April, 14:03 PM local time, SES announced today. The Soyuz launch marks a significant milestone in SES’s O3b MEO journey, bringing the number of O3b satellites to 20, and making the transition into its next-generation MEO system. As the only operationally- and commercially-proven non-geostationary satellite orbit (NGSO) broadband constellation, the O3b MEO system has been successful since its first launch in 2013. “This launch marks a very important part in the O3b journey. We started O3b with this bold vision of changing lives by connecting people. We wanted to create a meaningful impact, and we have. We have connected underserved communities with high-performance internet. We have restored connectivity across disaster zones. We have changed the notion that you can’t be as connected at sea as on land. And we have made the cloud available to businesses where it was never possible before,” said John-Paul Hemingway, Chief Executive Officer of SES Networks. Located almost 8,000 km away from the earth’s surface, the O3b constellation delivers fibre-equivalent performance and has massive geographic reach, enabling the delivery of high-performance data networks and solutions – including cloud services and applications – across the globe.